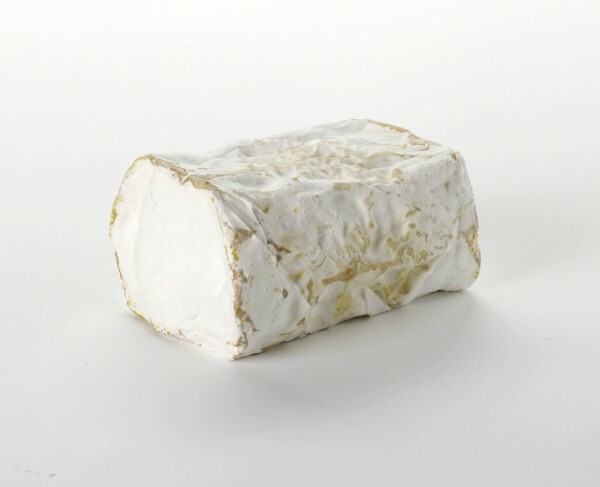 A firm textured goats milk log with a clean, fresh flavour and lots of character. Perfect for cooking as well as enjoying fresh. Made by one of Paxton & Whitfield's favourite cheesemakers in the heart of the Westcountry, using the unpasteurised milk from the dairy's own herd of white Saanen, brown and white Toggenburg, black and white British Alpine and Anglo-Nubian goats. The goats are milked twice daily with each producing about two and a half litres of milk. This milk is thermised at the dairy, a process similar to pasteurisation, and then pumped into vats where starter culture is added, and vegetarian rennet. Once formed, the curds are cut by hand and then placed into molds to drain. The cheeses are left overnight and then taken from their moulds and put in a maturation room where white fluffy penicillin moulds will form and cover the exterior of the cheeses. Aldwych Goat is made exclusively for Paxton & Whitfield.